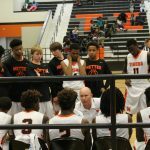 Saturday, December 9, 2017 6:00 PM Metter High School AWAY 59 ECI HOME 52 Game Recap The Tigers were led by Junior Keondre Williams with 17 points and 9 rebounds as they take the win against the ECI Bulldogs. 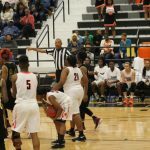 Tuesday, December 5, 2017 6:00 PM Metter High School AWAY 60 Bryan Co HOME 40 Game Recap The Tigers gain a large lead in the beginning of the game, securing the win early. 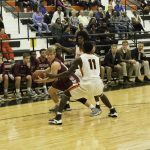 Saturday, December 2, 2017 5:00 PM Metter High School AWAY 57 Screven Co HOME 45 Game Recap Metter Boys pulled away in the fourth quarter to secure the win. Sophomore Immanuel Hackett had a high 16 points and 14 rebounds! Friday, December 1, 2017 6:00 PM Metter High School AWAY 78 Toombs Co HOME 48 Game Recap Meter High School Boys outscored Toombs County by 30 points for the win! 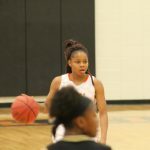 Tuesday, November 28, 2017 7:30 PM Metter High School AWAY 60 South Effingham High School HOME 55 Game Recap Junior Keondre Williams had a high 30 points, and 14 rebounds!